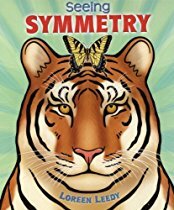 Do you have a favorite geometry read aloud that you like to use to build students’ background knowledge and vocabulary? We've reviewed some of those we use most often below. Choose one to launch your next geometry unit, or lesson, and download one of our follow up activities to provide opportunities for students to explore geometry concepts in meaningful ways. 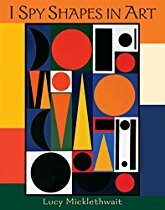 This wordless picture book portrays the adventures of two small wooden figurines as they arrange and rearrange a set of colored blocks to create what they need for different situations. 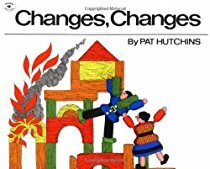 The bright and colorful illustrations provide a wonderful opportunity for young children to interpret the scenes and create their own dialogue as they see how the same set of blocks can be used to make many different things. Worthy of display in all classroom block areas to provide inspiration for young builders, use in conjunction with this math center activity to provide opportunities for students to see how three-dimensional shapes can be composed to make new shapes (CCSS 1.G.A.2). This rhyming text with simple, bright illustrations reveals how flat shapes are parts of things we see every day. "A square is just a square, / Until you add a roof, / Two windows and a door, / Then it's much, much more!" The verse and a square appear on one half of the two-page spread; a simple house appears on the other half. In similar fashion, on other pages, a circle becomes a Ferris wheel, two triangles become a boat, a group of rectangles become a train, and so on. 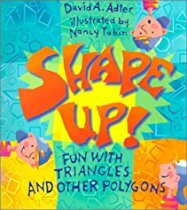 Use this geometry read aloud to get young children thinking and talking about shapes in their everyday lives. Based on the "I spy with my little eye" game Micklethwait encourages young readers to find shapes in famous paintings from a range of nineteenth and twentieth century artists, including Georgia O'Keeffe, Henri Matisse, M. C. Escher, and Andy Warhol. Each of the fourteen painting contains a different shape to find, some of which are easy to spot and others which are more challenging. The colorful, clean design coupled with a large font and simple text (“I spy with my little eye a rectangle.”) makes this a book that early readers can enjoy independently after a whole class introduction. When reading this book aloud we like to use the added phrase on the last page, "What do you spy? 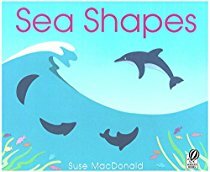 ", throughout the book to encourage children to examine each painting closely. 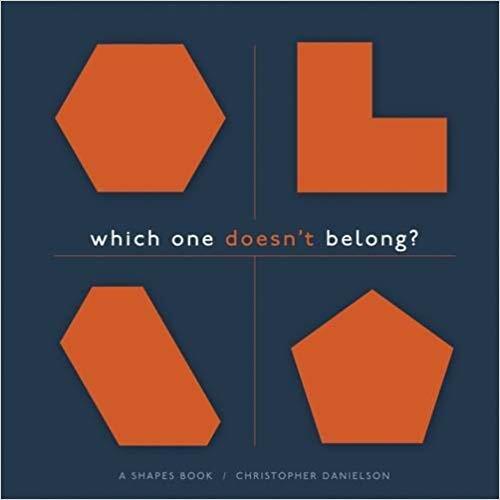 A lovely book for introducing fine art to young children while concurrently developing skills in recognizing and correctly naming shapes regardless of their orientations or size (CCSS K.G.A.2) . After reading have students create their own works of art and "I spy" riddles based on a shape of their choosing. Chased by a cat three mice hide in a pile of shapes. 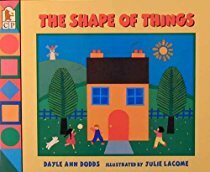 Once the threat subsides they use the shapes to make an assortment of things including a house, a tree, a wagon, and a fish. 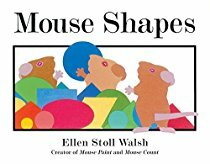 But when the cat returns the mice use the shapes to scare it away by creating “three big scary mice.” Just as visually appealing as Mouse Paint and Mouse Count, the simplicity of this book with its brightly colored pictures makes it an effective and fun introduction to shapes. 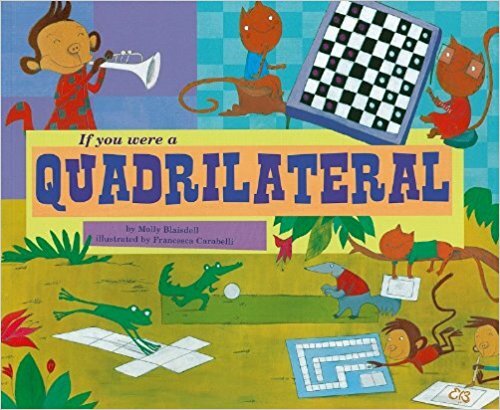 Also available in Spanish (Las figuras de los ratones), this geometry read aloud deserves a place in all preschool – 1st grade math libraries. 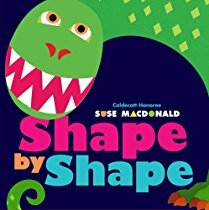 After a class read aloud follow up with this hands on activity to provide opportunities for students to see how two-dimensional shapes can be composed to make new shapes (CCSS 1.G.A.2). 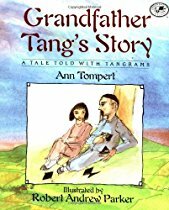 Tangram Cat is an amusing story about a boy who uses seven tangram pieces to create an imaginary cat. When the cat feels lonely the boy tries to create a friend for it and an adventure begins as a procession of animals chase after each other. All of the delightful illustrations in this book are made out of the seven tans. 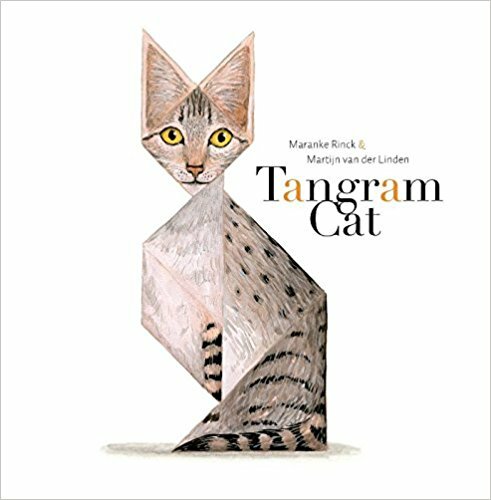 The constantly changing configurations add a novel touch to this geometry read aloud and provide a perfect introduction to the wonders of the tangram puzzle for younger readers. 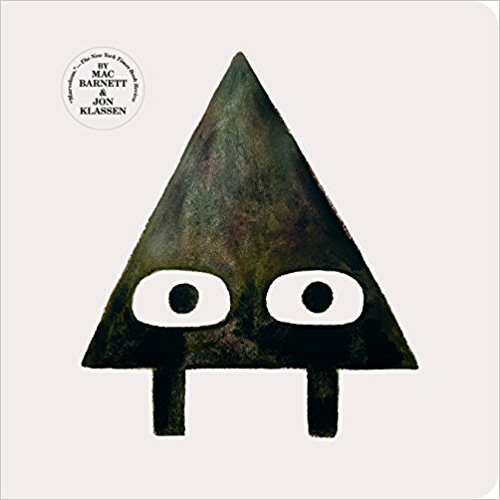 Opportunities for discussions about the properties of 2D shapes are plentiful and readers can create their own animals using the tangram pieces included on the final page. A busy triangle becomes dissatisfied with its life and asks a shapeshifter for one more side and one more angle. Transformed into a quadrilateral the triangle is happy for a while, but again and again returns to the shapeshifter asking for just one more side and one more angle. When its many sides and angles are so small that it becomes difficult to balance, the shape returns to the shapeshifter and asks to be become a triangle again. 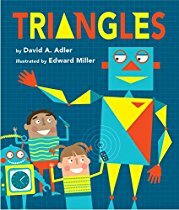 This book provides an opportunity to introduce, or review, the names of different polygons (e.g. quadrilateral, pentagon, hexagon, heptagon, octagon, nonagon, decagon) and when reading the story aloud we often ask children to predict what the next shape will be. 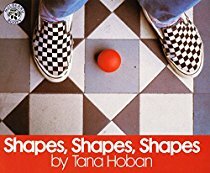 The illustrations of the shapes in different forms, places, and orientations provide further information about the properties of shapes and how they are used. 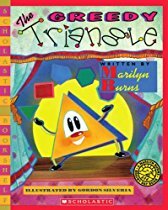 A popular geometry read aloud that we’ve used across a range of 2nd - 4th grade classrooms in conjunction with this follow up activity. The coordinate system we commonly use, the Cartesian Coordinate System, was developed in the 17th century by the French mathematician and philosopher René Descartes. Based on one of math’s myths, this math reader describes how a very untidy Descartes invented this ingenious system in order to keep track of his possessions after wondering how best to describe a fly’s location on the ceiling. 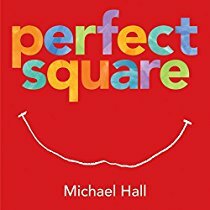 A light hearted and accessible geometry read aloud that can be used to launch a unit, or lesson on graphing points on the coordinate plane (CCSS 5.G.A.1 and 5.G.A.2).